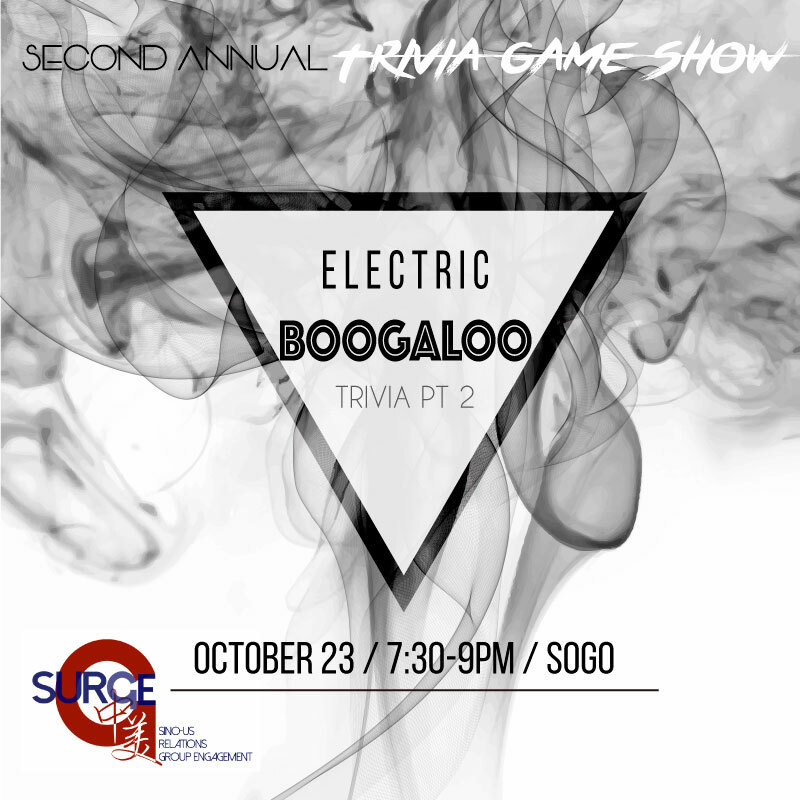 On October 23, from 7:30 to 9 pm, at SoGo, SURGE hosted its second annual Trivia Game Show, aptly named: “Trivia Pt 2, Electric Boogaloo”. The event revolved around US-China relations & pop culture related questions, followed by Chinese/Nickolodeon game show inspired penalty rounds. The Trivia was a huge success, with more than six different on-campus clubs (SURGE, CSA, DIRECT, MUN, ALLIES, WMFO) attended, and more than 40 people participated in the games. Trivia night hosted by SURGE and JCC were multiple student club teams such as Allies and Tufts Hemispheres participated in trivia and Japanese game show style events in order to avoid elimination!! WMFO were the winners of the 1st annual Trivia Night. Check out the video under photos and videos.